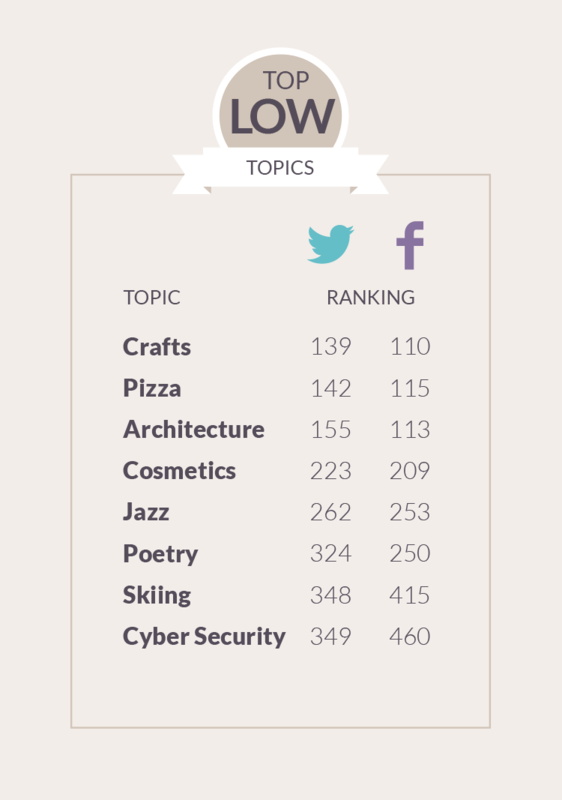 The research categorized the subjects that get a noteworthy reaction on Twitter or Facebook. As you can see, music, television, holidays and celebrities have the greatest engagement. Amazingly enough, religion is in the top 10 of engagement in Facebook – something I did not expect, since the contrast with the previous subjects is quite amazing. Apparently, Facebook attracts many different people! I carefully glance through the list, expecting and hoping to see books somewhere –and worried that I might not. And there they are, the 8th most popular subject, engagement-wise, in Facebook. 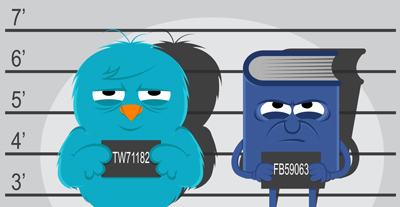 Sadly, Twitter seems to dispense with books altogether, not registering any noteworthy engagement in its top-10 tier. What surprised me is that Facebook has not been such a big promotional vehicle for me. I do share funny images, dogs, and cats –by the way, dogs are the fashionable thing and cats are out, it appears- and inspirational photos regarding writing, but I haven’t had the engagement I was expecting. Perhaps I am not doing it right. Twitter, on the other hand, has been amazing for me and I now have many followers which whom I interact pretty much every day. The research then examines the topics that influencers – i.e. social media pros, the ones who have built their reputations to be known for what they love – find most engaging. 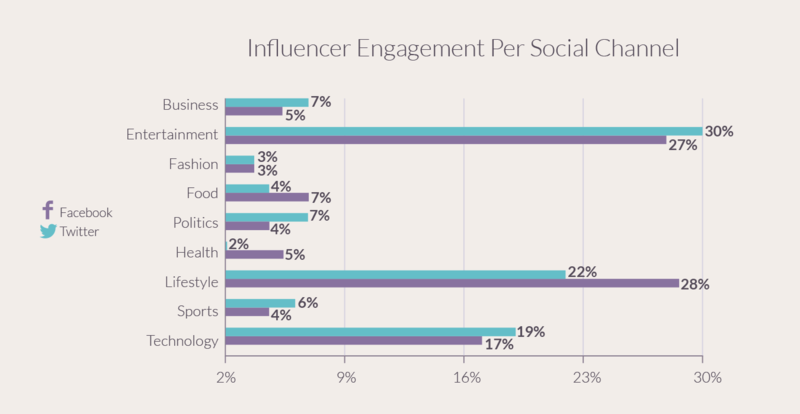 For Facebook influencers, the most engaging subjects are food, health and lifestyle subjects. In other words, influencers feel that Facebook is the perfect medium for them to promote such subjects. 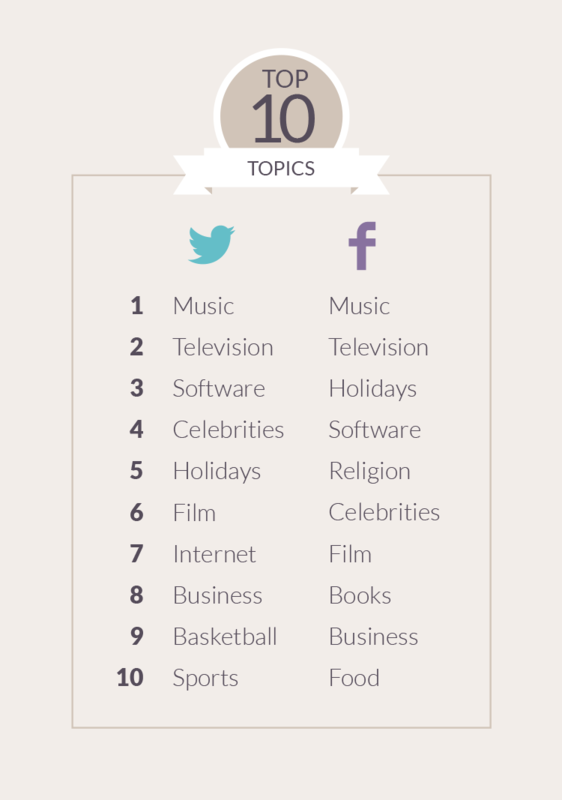 On the other hand, business, entertainment, sport, and technology are the preferred subjects for Twitter-philes. Finally, there are the subjects that are neglected, but which have huge potential because of the sheer number of people who care about them: cosmetics, pizza (! ), jazz, poetry, skiing (! ), crafts, architecture and cyber security. These are great subjects for future promotion, with a nice potential for growth. It also means that these are great subjects for books. I am amazed that poetry is amongst them – and very pleased about that. What does that mean for my book? If your book is about food, health, religion, and lifestyle, it would be best to promote it on Facebook. If it is about business, entertainment, sport and technology, Twitter is a better medium. This probably explains why I find it much easier to promote my science fiction/fantasy books on Twitter than Facebook. Statistics show that teenagers are truly leaving Facebook. How do we know that? Simple: Posts about ‘homework’ see much higher engagement on Twitter. Perhaps those with homework, typically teenagers, are engaging more on Twitter than Facebook. So, if your book is aimed at youngsters, it’s best if you promote it on Twitter. How about pet-related books? Dogs generate four times more engagement and cats twice as much on Twitter than on Facebook. Therefore, if your book is pet-related, promote it on Twitter. When it comes to babies, they generate three times as much engagement on Twitter than on Facebook. Parenting generates twice as much engagement on Twitter. So, if your book is about parenting and/or babies, promote it on Twitter. Although we use computers, tablets, and mobile phones to access social networks, we surprisingly don’t engage much with content about electronics on Facebook or Twitter. Neither medium is particularly good for promoting that subject. This is eye-opening and specific information on what kinds of books to promote on various forms of social media. Re-blogging on Archer’s Aim! Great post, Nicholas! Thanks so much. Shared on FB, LI, Twitter through Chris the Story Reading Ape. Who’s the cute tyke in the avatar photo? Mt great nephew, Grant. And we now have triplets and quadruplets in the family, all to children of one sister. Plus she has 3 other grandchildren, all under age 7. She’s going to be the “most broke” grandma her side of the Mississippi! Great post. Thanks for sharing these statistics. I was considering a Facebook author page but probably won’t bother now. For a few months I had an internet phone. That was brilliant for Twitter. I used it all the time. It would beep when I had a tweet and I’d reply. Like texting. But then I realise I’d been sold a dummy and that if I wanted to continue to use the internet on my phone I’d have to remortgage my house. As a result, I find it hard to engage on twitter now because I can only check it when I’m on the internet, a couple of times a day. So at the moment, I’d say I’m treading water. I tweet blog posts I like, tweet my own blog posts and retweet things that catch my fancy. I have the odd conversation but I will probably start talking to people more next year when my phone contract runs out and I can switch to data only or pay as you go. If the brief three months of instant access are anything to go by I’ll enjoy it. I have over a hundred direct mentions and RTs daily, so I think I’d go mad with an internet phone. Which is why I haven’t connected mine to my twitter account. I do love what you’re saying, though: you used twitter to network and have “real” conversations, which is by far the best way to do so! I’m looking forward to hearing how it will work for you, re-engaging with people in the new year. Wow yes, I can see how you’d have to tone that down. But yeh, I’m looking forward to seeing how using it for more interaction pans out. Facebook or Twitter, which is writer friendly? That’s easily corrected, join all the writers groups such as Writers Like Writers etc. We writers constantly engage with one another in those groups on Facebook. I can’t say the same thing for Twitter. Regarding whether or not you get any sales from folk perusing both Facebook and Twitter, unless your publisher also follows them and equates a sale to either, you will never know. Thank you for the interesting point you raised. The engagement you get from FB, I get from Twitter. LinkedIn Groups are also a good social medium to interact with authors; there’s precious little promotion, but many interesting posts. I like to tweet links, but I like Google+ for adding my own commentary to particularly fascinating posts/articles. I never considered that subject matter of a tweet/post would play such a huge role in finding the best digital venues for a particular topic. Thanks for sharing! 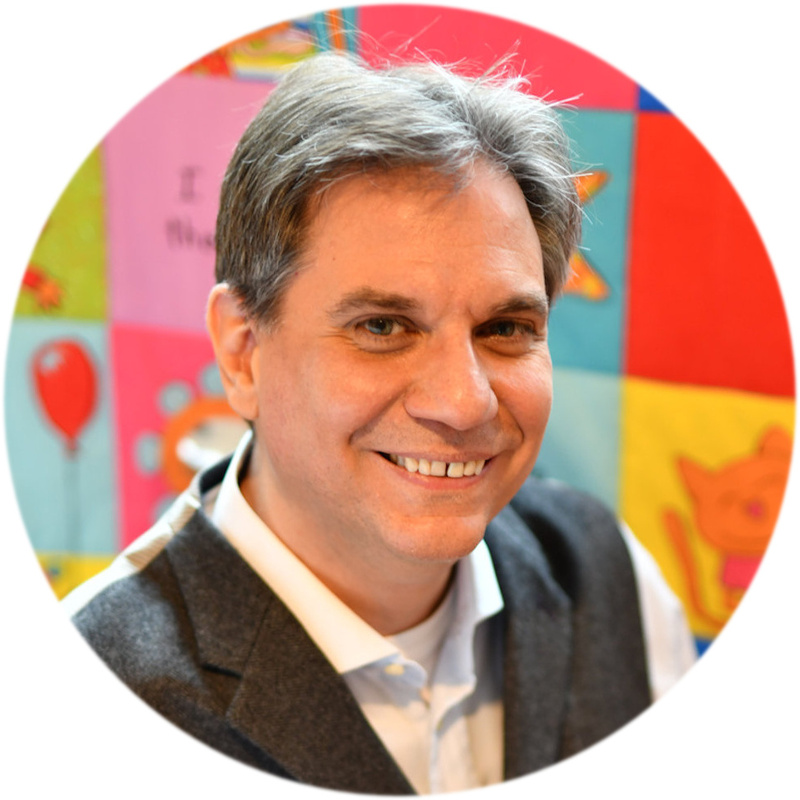 So funny, Nicholas, but I am trying actively looking to do outreach in the form of guest posts for other author-bloggers. I haven’t much to say about G+ other than I like that I can add my own commentary, but if I were to come up with a post you enjoy and think adds value to your readers, would you be interested? In any event, thank you for posting and always putting a positive vibe out there in the world! Absolutely, I’d love to host a guest post by you! You can contact me through the contact form to arrange it. Thanks!! This is very helpful. Almost confirms my suspicion that FaceBook doesn’t really drive book sales, and Twitter fails as well. I get plenty of retweets but I don’t see sales increasing when I tweet. And a tweet is only alive for what 3 minutes and visible to less than 50 people at a time? Then it’s buried in the scroll. I prefer FaceBook because you can join lots of readers’ groups and genre groups (in my case quiet horror/supernatural) and pitch the story and book cover you can pitch book reviews. But again, I can’t say book sales are happening from FB, but it does give you more quality time to pitch. I will say that when I post on Facebook groups, I get more hits on my weekly short story blog and web site. I find it easier to engage on twitter, yet many of my Facebook followers are interested in the topic of my book. Interesting! It seems like you’re very lucky, since both platforms should be equally useful for your book promos. Interesting research and helpful recommendations for #authors, #musicians, #poets, more. Thanks, Nicholas! Interesting. I use both and it never feels like Facebook does anything for me, but Twitter gets a reaction. I still do FB for the off-chance that I’ll hook somebody’s attention. Playing the ‘you never know’ game. 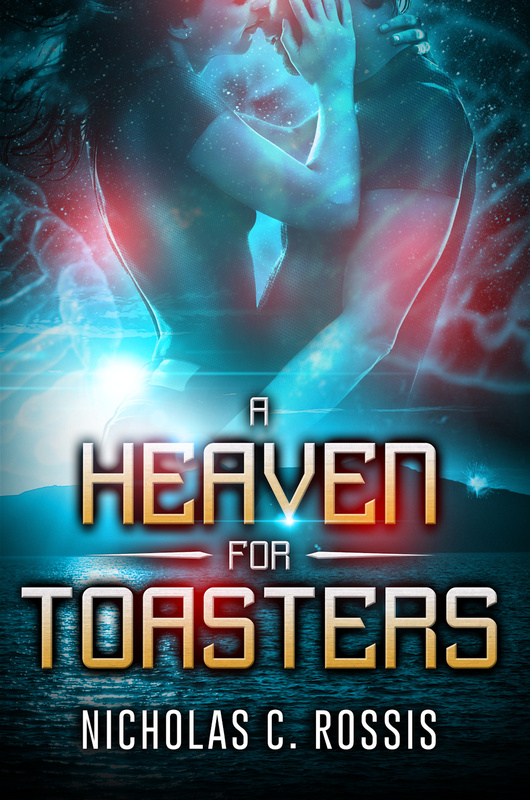 I do see a ton of romance and erotica books getting promoted all over FB. That genre seems to do great across all social media sites for some reason. Brilliant post Nickolas! I always wonder about this subject. I once paid for a fb add which did absolutely nothing for me. Yet fb is responsible for 1700 views of one of my latest posts in a matter of three days! What was it about? My food experiment with iron age cooking. Bizarre! I’m not very good with Twitter but I love Google+. You didnt mention it yet I have engaged with a lot of people re the content of my blog through Google+. Food experiment with iron age cooking?? That sounds awesome!! !